I’m here today to talk about dieting. Or more accurately — how I STOPPED dieting, and how that affected my body and my mind. In a world of low calorie this and diet resolution that… I’ve decided to check out. I’m walking away. Or rather, I walked away a long time ago. And never looked back. I was so, so, so tired of being obsessed with calories or carbs or pick-your-poison. So, so, so deeply exhausted needing to know what number was on the scale so I could decide what I was “allowed” to eat that day. And just plain sick of linking my self-worth to the size of my jeans. So I decided to do something absolutely insane: I stopped dieting. Completely. I vowed to never go on a diet again. At first, I made the decision that I wanted to learn how to maintain my weight for a while. Sure, I wasn’t at my “goal” weight, but that wasn’t the point. The point was every time I dieted, I ended up gaining more weight than I lost. My “starting” weight kept going up. It wasn’t hard to see where this trend could potentially lead. It came to a point where I was more scared of what might happen if I didn’t stop dieting. My whole life I was either losing weight or gaining it back. I’d never maintained my weight for more than a few months. The scale was always going up or coming down (and then back up again). What if I just stopped? Stopped pretending dieting was the answer. Stopped believing that the most important thing I could control was what went on my fork. Stopped playing like food deserved to be the first and last thing I thought about each and every day. I never made a New Year’s resolution not to diet. It wasn’t a bold declaration to the world. Not dieting was the answer I’d been looking for. Research shows that weight fluctuations are more dangerous than carrying excess weight. A history of weight cycling via dieting is strongly associated with an increased risk for developing metabolic diseases like diabetes, hypertension and heart disease. This is independent of weight (so it applies whether you’re a dieter who is skinny or one who’s heavy). This evidence strongly suggests that dieting affects you on more than a body fat level: dieting affects you–and can harm you–on a metabolic level. One study showed that obese women who diet are far more likely to have high blood pressure than obese women who do not have a history of dieting–more evidence that demonstrates the dangers of dieting on the entire metabolism. Weight loss that comes through dieting (especially extreme dieting) always risks losing lean body tissue in addition to fat. This robs your muscles, bones and organs of the material they need to function properly. While some diets increase this risk more than others, it is a risk with all diets that restrict calories. Our eating habits are passed on to our children. Kids pick up on our obsessions about weight and our eating habits. Whether we realize it or not, we often project our own insecurities about our weight and our restrictive eating habits onto our kids. It’s hard not to. But research shows that parents who impose restrictive eating habits only encourage further weight gain in their children. Stopping this vicious cycle in its tracks is reason enough to swear off dieting forever, in my opinion. Dieting distorts our natural relationship with hunger and food. When food becomes “good” and “bad,” eating becomes a moral issue rather than an issue of nourishment. When we deny our hunger, we forget how to eat for natural reasons and instead develop habits of emotional eating and experience guilt when we eat the “wrong” food. Basically, we forget how to eat. This can result in eating disorders, distorted body image and poor health in long run. 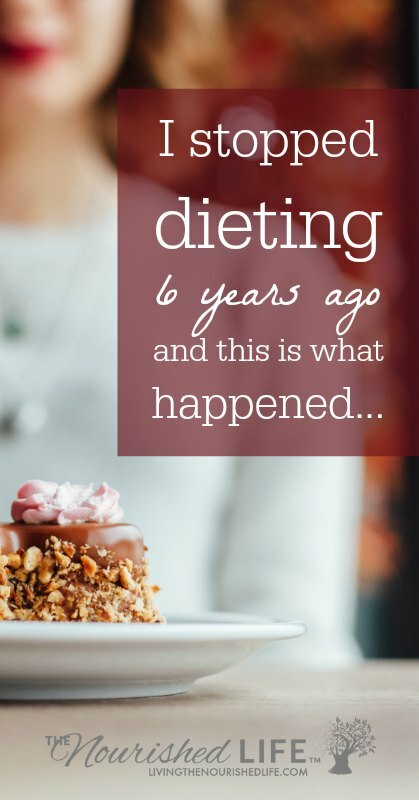 I was terrified of the same thing most women are when they stop dieting: uncontrollable eating followed by uncontrollable weight gain. I’ll admit I wasn’t starting from scratch. For a few years I’d been coming to the realization that balance, moderation, and loving your body were key ingredients for a healthy, happy life. But even so, it was almost surreal to me. It was actually working. And for the next three or so years, I maintained my weight (up and down about 5lbs, which is pretty normal). Then something crazy happened… but more on that in a minute. Maintaining my weight was a good plan. But just saying that makes it sound a whole lot simpler than it actually was. The truth is, when I stopped dieting, it was — at least at first — a constant battle in my head. I was tempted to diet all the time. Every time I gained a pound. Or felt bloated after a meal. Or saw a picture of someone thinner than me in a bikini. Or found a pair of too-small jeans in my dresser (I eventually donated them). There was always the pressure to get wrapped up in food issues and body hate. To complain about my thighs. To participate in conversation when everyone started talking about getting a “beach” body or doing a 30-day detox in January. My mind was a messy place. It took some time to untangle the web. And there’s no perfectly happy ending, either. Sure, some things became positive, healthy habits. But every day I face decisions about how I want to think about my body and my food. It’s ongoing work. As cliche as it sounds, it’s true: loving yourself is definitely a journey, not a destination. 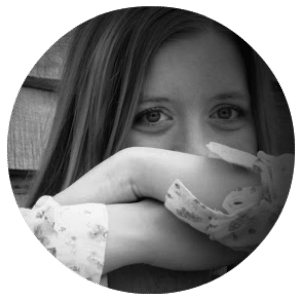 Six Years In… Where am I now? This year something strange happened — at least strange for me. Remember how I said I was always dieting or gaining weight? Well, the one thing that never, ever, ever happened to me was “automatic” weight loss. You know, the kind where weight just “falls off” without dieting. To me, that was the mystical rainbow unicorn — I heard stories, but of course it never really existed (not for me, at least). This spring I realized that I needed to become more active for my long term health. Working at the computer all day was keeping me pretty sedentary. I grabbed a FitBit and started becoming aware of my daily activity. I loved it. For the first time in my life, being active was fun. For real. It wasn’t something I had to force myself to do. It wasn’t punishment for eating the brownies. It wasn’t about what the scale said the next day. I was being active because I loved my body and I wanted to take care of it. And, for the first time ever, I lost weight without dieting. It happened slowly. Like snail-crawl slow. Over a period of about 6 months, I lost 10 lbs. I ate normally during this time (normal for me is 2000-2500 calories every day). I never restricted any food types — I generally eat a balance of protein, fat and carbohydrates. I never followed a plan. I just used some common sense, a little moderation, and made the choices I felt worked for my body (with plenty of treats of course!). After that, my weight continued a slow downward trend. I would gain a few pounds now and then, and then later lose a few. But these were just natural swings of 3-5 pounds because of, well, real life. Sometimes I ate more, sometimes I was more active. Life isn’t stagnant – it’s always changing. Over the next two years, I lost another 8 lbs. So six years into this no-dieting journey, I’ve lost almost 20 lbs. If you’d asked me six years ago if I thought this was possible, I probably would have laughed in your face. I was just hoping to stop dieting without gaining a ton of weight. I didn’t realize that choosing my health and peace of mind over my weight would actually lead to the result I’d been looking for anyway. It was a long road, but a happy one. But it’s not the “what” that’s important – it’s the “how” and the “why” of this weight loss that’s important to me. The thing is, I learned to be happy with my size before. And I’m still happy with it now. It’s not an “I-can-only-be-happy-at-a-certain-size” thing. It’s not an either/or. It’s an and. I was happy with myself then and I’m happy with myself now. Honestly, these all sound pretty great, right? All the sudden you’ve turned a few positive aspirations into a BIG and OVERWHELMING blockade in your life. You feel trapped by your weight. It feels like you can’t enjoy any part of your life until you see X number on the scale. Feelings of self-loathing, stress, and panic are right around the corner. You start feeling obsessed about what you’re eating and how much you’re exercising. You binge because you’re starving and you starve yourself because you binge. It’s a vicious cycle that goes around and around… all because of all the things you tell yourself you CAN’T do UNTIL you lose the weight. For instance, how might you feel fit and healthy right now, regardless of your weight? Is eating out a lot making you feel sluggish? Are you stuck at a desk all day, and doing a few sets of squats or pushups throughout the day might help you feel more energized? Are you getting enough sleep to feel focused during the day? These are all areas you can examine and improve–making changes in these areas might, in fact, lead to a little weight loss… or it might not. But it can sure make you feel better either way. The important thing here is to remember not to allow your reasons and goals in life to be tied solely to your weight–as if that number on the scale determines the joy you can have in life. It’s not true. You can be miserable and thin (trust me) and you can be overweight and happy (also trust me). Weight is a piece of the puzzle, sure, but it’s just one piece. Don’t let everything hinge on it. Life without dieting… should you try it? I don’t know. I don’t have the answers for everyone. I can only tell you my story and hope that it helps in some way. So, really, what I’m really asking you to do is start the journey. Make a commitment to be kinder to yourself. To consider this: changes made out of love and respect last longer and work better than changes made out of hate. Work on bringing more joy and positivity into your life. Tell me about your journey in the comments below! This is so true and I’m glad you made a post on it!! I quit dieting almost a year ago. I decided that I was going to have to live with however my body was just the way it was, because I was so done with dieting and I just couldn’t ever go back. It was scary to leave it behind, but deep down I knew that I couldn’t continue that way. I ate food that wasn’t “healthy,” I ate things that I haven’t eaten with a “free will” in years. And it felt good. I didn’t gain weight. I maintained my weight for 6 months, and then “effortlessly” dropped 5 lbs. I was actually scared when I lost 5lbs because I thought that I’d gain it back right away. But I didn’t. I had ‘bloated’ days, and told myself it was just a bloated day, and not to worry and…The bloated days left and I’m basically the same! Buying jeans and knowing that I’ll fit into them for more than a week is the best thing ever!! Wow, Joanne, that is so awesome!! I am so happy to hear it’s been such a good experience for you. I completely relate to what you said about buying jeans! I used to hate when I waited until I got down to a certain weight to buy jeans, and then of course within a couple of months they didn’t fit anymore. It never motivated me at all — it just made me feel terrible! I enjoy my clothes so much more now. I really needed to read your post today! Thank you for being brave and bold enough to take this leap and inspiring so many others! I am now officially done with diets? You are my favorite. Seriously. I love this post. Thanks for sharing your awesome story. Dieting and weight loss are often overrated. Those who manufacture weight loss drugs and those who supply genetically modified food promote concepts like size zero. 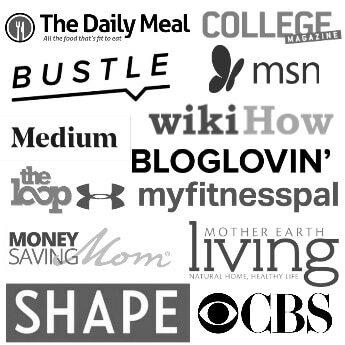 Crash diets, dieting, celebrity style – are craze words and concepts. If we are mindful about what we eat and apply some common sense, we don’t have to starve to get fit. And it is not about getting slimmer or skinny. It is about being fit and beautiful from the inside out. Above all, we should be happy with our body. Thanks for the wonderful share. Have a great week! Beautiful words, Jane! I wholeheartedly agree. That’s so encouraging to hear, Bella! I’m glad you’ve decided to be happy and love yourself. I think that decision can be such a huge launching point — often it’s the waiting-to-be-happy-until-something-else-happens that keeps us stuck in the first place. You are my Spirit Animal! Thank you for this wonderful post! You have motivated me to do all along what I was afraid to do…love my body and enjoy life 🙂 Thank you, thank you, thank you! Thank you so much for posting this, it is so encouraging. After years of restricting and binging I’m finally ready to stop the madness. It’s not helping me lose weight because the weight I do lose when I restrict for a week or two comes right back because of the ridiculous binges. Aside from the physical torment, it’s horrible psychologically. It’s made me miserable because I deny myself food or certain foods for so long and then comes a moment where I lose control and I clean out my cupboards and my kitchen and I just can’t stop myself. All I’ve ever wanted was to be skinny but this isn’t making me skinny. Letting go of restriction is a huge step for me because it gives me control (for however long I can do it) but if it will stop the binges I’m ready end it all. I’m still horrified of gaining but reading everything you wrote, I’m hopeful that I won’t gain and my body will eat intuitively as our body’s do know how to eat without us forcing rules on them (tell that to my disordered mind). When you say you maintained your weight within about 5lbs,, did you gain any weight when you stopped dieting and restricting? First, big hugs to you! It’s an exhausting cycle to let go of, but I believe your quality life will change drastically with a more balanced approach. I had already gained weight earlier in my journey. At the time I was rebounding from a very unsustainable weight loss. Then I was yo-yo dieting to try to get back to that weight with no success. So I didn’t gain more than a couple pounds when I stopped dieting because my body had already found its comfortable point. So it kind of depends on where you start. Hi again Elizabeth and thanks so much for replying. So I was doing the “intuitive eating” sort of thing, I was eating as much as I wanted to most of the time but without feeling extremely full.. just satisfied. It was really going well for 3 weeks (no binges!) but the past two days I’ve crashed hard. The sad part about it though is that they’re not binges due to hunger like they were when I was restricting. They were more mood realted eating and binging comes as a habit to me after years of this destructive pattern and I messed up bad. I feel terrible, like a failure and I don’t know if I’ll ever be “cured” of this thing or it’s something that comes and goes forever. My weight in those three weeks was pretty steady. I didn’t gain, I was actually losing VERY SLOWLY. But I don’t know how to get back into it. I don’t want to fast or do excessive exercise or anything because that will only lead me to binge after. Do I just start over tomorrow as if nothing happened? Did you have any set backs after you started not dieting anymore? I mean did you binge or overeat at times or did the binges stop cold turkey? My name is Christi and I’m so interested in being skinny and I’m basically a good looking person for 67 years old. I’ve been a yo-yo dieter for years and what you said “There is no starting over- you are always on the journey of taking care of your mind and body”. I’m following this advice. Thank you! So glad this resonated with you! It really is a lifelong journey. Wow–what a great article. I’d love to be able to get to that level of trusting the body to move into its own healthy weight. Your story was a true inspiration. I am conscious about my weight for my whole life. Unfortunately, I have depression and I have to take this anti-depression which will makes me fat (one of the common side effect), I gained 7 kg. I was too skinny so all my friends said they can’t tell that I gained weight, but I can tell because I can’t see my ribs. And my face is chubbier. So I decided to go gluten free, and increase my yoga routine. But I am not losing weight. I spend SO MUCH time thinking about foods, how to reduce my calories, which foods to ban and etc. I even eat raw hot chillies so ease my hunger. I am so tire of this. Then I suddenly told myself, why don’t I quit dieting, Maybe I will stop thinking about foods then I will eat lesser. So glad you liked this post. It is really exhausting to always be stressed about food! I know the feeling well. One of the interesting things I was reading about recently, was how when we heavily restrict rewarding foods, it actually triggers an even more addiction-like reaction to the foods when we *do* eat them. That’s why we get into these restrict-then-overeat cycles and end up constantly thinking about food. It’s definitely a miserable cycle. Maintaining a healthy lifestyle can be a struggle, and the ideal routine seems to change all the time. Yet physical well-being plays an undeniably important role in our daily lives. In many ways, our mental health impacts our ability to be physically healthy, and vice versa. The term diet is almost criminally misused today, as it has been since its beginning in modern language. Be it Atkins, Paleo, no carb, lo carb, high fat, keto, whatever, a diet simply means the kinds of food that a human eats on a habitual basis. By that virtue everyone is on a diet, ALWAYS. It’s wonderful that you’ve found a way to be happy with what you eat, how much you exercise and generally how your life is going, and that’s what it should be about. I just wish that food wasn’t stigmatised in the way that it is and that that stigma is fuelled by people and organisations wanting to earn money out of it. Clean eating, detox, raw ingredients, it all means nothing if there isn’t a basic understanding of how the body works, and that’s what worries me. Being in the know about how food and most importantly the quantity and type of food you eat affects your body is so important, yet very few people seem to know about it. I like how you’re empowering people to stop the faddy diets that are impossible to sustain and cause misery, however given your reach and audience I really think it would be of much better value to teach people about how and why your body responds in certain ways to certain stimuli. 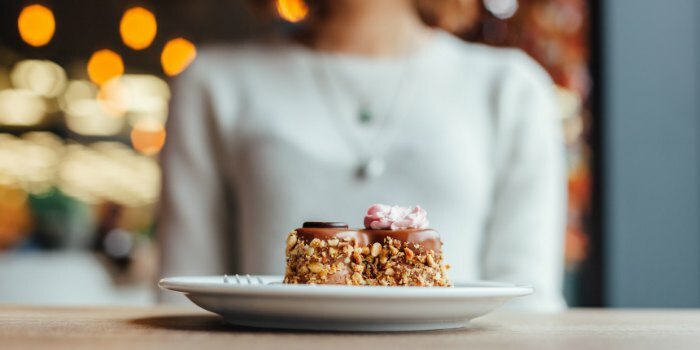 ‘Quitting dieting’ isn’t the answer I’m afraid, educating yourself and others is. Good luck. Great insights, James. I agree – to “quit dieting” isn’t really the answer. It’s just a natural result of me finding the answers. Anytime I previously “stopped dieting” it was a temporary swing in the opposing direction rather than an intentional decision backed by education, reason, and instinct. Once you understand how it all works, fad diets just aren’t appealing at all anymore. I didn’t have to force myself to stop. I didn’t want to go down that road anymore because I understood it wasn’t the right path for me. Amazing post!! This is exactly what I’ve been thinking, you’ve put it together so wonderfully. I’m trying to get my own balance right, as I found that food tracking only helps for a short period then I get bored and everything just slips and I start gaining again. I did the same thing three years ago, and haven’t looked back. Three years before that I’d kept my favourite pair of jeans in the hope that I’d one day fit back into them. They were packed away and I forgot about them. Then, last year I found them and tried them on. They fitted again, but I found they were unfashionable and I didn’t like them anymore, so I gave them away. It’s funny how tastes change and move on like that. You should start a “stop the diet” club. I’d join! Your message is so very important to get out there. Thank you!! This article is exactly what I needed to read. 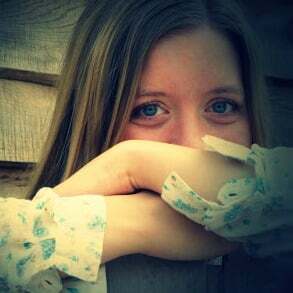 For sooo long, I’ve suffered with disordered eating. I went through recovery years ago where I allowed myself to eat whatever I wanted. Gained weight, became unhealthy and started another cycle of restriction. Last year, I ate intuitively, or so I thought. I wasn’t eating enough at all, but I felt content and didn’t think about what I ate. As soon as I started thinking about it, the obsessive thoughts came back and just like that, all the weight came on. Recently, my endometriosis symptoms came back. I tried to find a natural way to cure it (diet change) and went on a tangent eliminating everything. Weight came off (then right back on just this past month), symptoms remained. So, my guess (I’m not a doctor) is that I’ve been depriving myself for many years that my system is just out of whack. Last month I came to the decision to just stop dieting. No cutting out food groups, just eat 3 meals a day for now to get my body on track. I am gaining some weight, but I’m totally done with short term thinking. I’d rather invest for the long haul, so I’m not thinking about food prep, planning, avoidance etc.. It’s 100% true that once you allow everything, you no longer want it. It’s definitely not easy, but I’m constantly reminding myself that it will get better in time. The more I am consistent with this, the better I’ll feel inside and out! It’s all about nourishment and taking care of ourselves. A rather new concept to me. I know I’m improving because I can finally keep foods I avoided in the house again without eating it all or throwing it away. So awesome! I can completely relate to the quick onslaught of obsessive thoughts! The moment I think of restricting anything, my mind starts racing. It’s such an unhealthy cycle. I notice in periods of stress, I tend to reach more foods more compulsively than usual (i.e. it’s hard to stop after just 1-2 cookies, etc. ), but I try not to place a lot of limits on myself. I try to see food as a way of taking care of myself, and that helps me make more choices that support my overall health. But I think there’s a wider margin of error than most of us are lead to believe. The journey has its ups and downs – and continues to, even several years out – but my sense of peace and inner wellbeing is absolutely improved and there’s really no price to put on that. I read this article a while ago, but I keep coming back to it when I need a bit of perspective. I decided to quit dieting and try and just figure out why I overeat in the first place in 2015, after a long history of dieting, most recently being on and off Weightwatchers since 2009. I feel lucky that whilst on WW I did manage, somehow, to maintain a 2 stone loss out of the 4 I initially dropped but I could see my eating getting increasingly disordered to be able to do so. It’s been a challenging time adjusting my perspective to something much more long term and sustainable but 3 years on, I don’t think I’ve done too badly – I fluctuated about a stone over the first 2 years, and then last year something clicked and I lost a stone over 8 months and then I seem to have been stable there ever since … which puts me almost exactly where I started Not Dieting 3 years ago – not a bad job at maintenance I think! Like you, I’ve just spent time re-introducing all the foods that were “bad” and learning just to eat what my body is asking for without it turning into a moral issue, and I’ve been making my peace with my exercise mentality too. I finally joined a really nice new gym last week, it felt like it was time, and just do what I want and I’ve been literally pretty much every day since … no pressure on myself, I’m just keen to do what I enjoy and reap the benefits to my energy levels and sleep quality without focusing on calories burnt or inches lost. Wow, this is such an amazing comment and totally made my day. Stories like yours are what keeps me going, too, and remembering what’s really important in life. It’s always an up and down journey, but it really does make a difference to focus on my emotional health and finding fulfillment in life, and let calories and inches take a back seat. I loved your article, I am currently going through the same path with a different touch though. I had enough of my constant battle with food (Scardale, Atkins, Montignac, Raw Food, Vegan, Keto….i stopped counting). The worst part is that I started very young (I am 46 now) and realize now that I was slim at the time (9 stones/57 kilos), dieting made me fat over the years (+45 pounds). Being French I thought that France & Italy remains the 2 western countries that are the least affected by “obesity” even though we do love our food, pastries & wine. I came accross a book from Zermati Phd (nutrition + psychology he advocates a “no diet philosophy”) and gradually worked on my sensations, my feelings of satiety and made peace with food. I did lose some serious weight (although my first goal was to stop putting on weight) and started working out for FUN and WELLNESS (walking & swimming); i think I am close to my “balance weight”, the weight I am designed to naturally be at, I will never be thin and at 46, I feel at peace with food, no more compulsion (what’s the point when nothing is forbidden). So I made the best decision, I gave away all my “thin clothes” (the ones you keep when you diet in order to put them on after months of starvation) and bought a new womanly wardrobe. thanks for sharing your story.